Easter is upon us once again and whatever your beliefs, this time of year is great for the celebration of new life, new growth, and new decor! 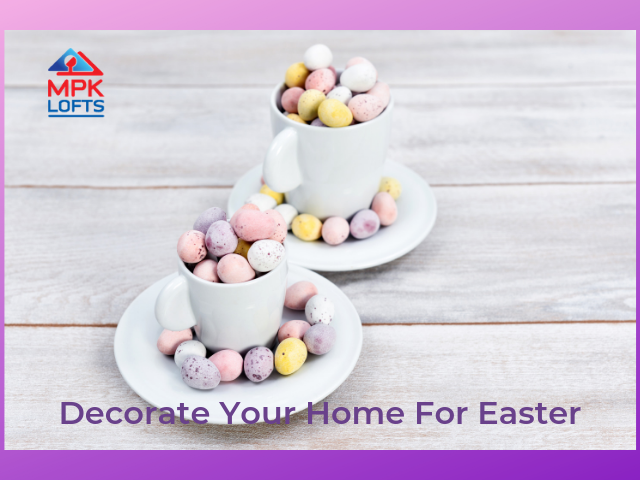 Why not take this opportunity to freshen up your living space with some spring and Easter inspired ideas, and inject a shot of fresh life into your home? First things first; the spring clean – there isn’t any point in doing anything else until the slate is clean! Get your Marie Kondo on and get rid of anything you don’t use, love or need. You’d be surprised how effective just having a clear out can be – if your home is less cluttered you will become more productive and feel more positive in your home environment. Instead of throwing unwanted items out, see if any of your friends want anything, or donate to charity shops – what you have finished with, others may cherish. If you have guests staying with you for the Easter holidays then it’s also time to make sure your spare room is clean and ready for them – dust those windowsills and give the room an airing if it doesn’t get used much. If you struggle to fit everyone into your home for special occasions then why not consider having a loft conversion or garage conversion. You’ll find the extra space super useful year-round and it could even add value to your home when you come to sell it. Now that the days are getting longer and the evenings are lighter, you can start thinking about planting things up for your summer garden. Fruit and veggie seeds can also start germinating at this time of year. 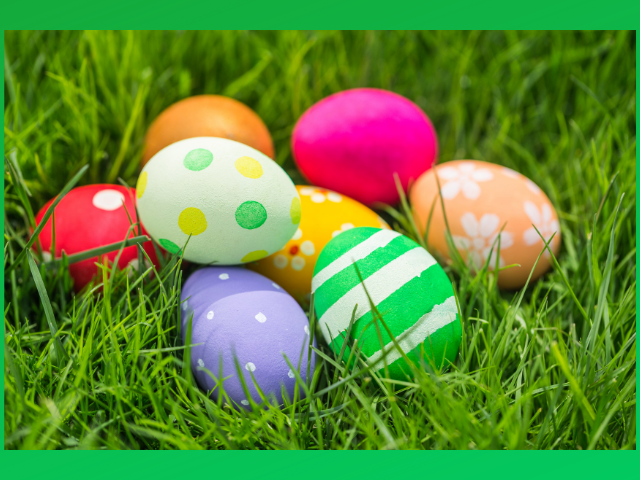 If you have children and are planning an Easter Egg Hunt then don’t forget to ensure your garden is suitable for little ones to explore safely. Whilst egg blowing and dyeing might seem like a great idea to do with the kids, in reality it’s a lot of mess for little reward! Making easter potato prints is far simpler and more enjoyable for both you and the children. Get your kids to be creative by making Easter bonnets and chocolate cornflake cakes for mini eggs. Are you having a big Easter Sunday celebration with your family? If so, you can liven up your table decor with an Easter themed centrepiece, but don’t spend money on plastic eggs and chicks as these inevitably end up in landfill or our oceans. Instead use natural dyes to colour hen or duck eggs. Daffodils, tulips and hyacinths will also add a pop of colour to the table. Why not take some inspiration from Christmas and put up an Easter tree? Painted white with pastel decorations such as twine eggs and wooden birds it would delight adults and children alike. Similarly, wreaths aren’t just for Christmas either, choose natural or biodegradable options to decorate a colourful Easter themed wreath such as fabric scraps, papier mache eggs, paper flowers or pastel pom poms. Small kilner jars filled with foil covered chocolate eggs and paper confetti shapes such as rabbits, chicks and eggs would make excellent Easter token gifts to present to guests or hosts. Spring is the perfect time to think about home improvements generally, so get out there and check those gutters and ensure that they are clean of leaves and gunk. Your roof is also extremely important so if you can, follow these excellent roof maintenance tips or get a professional to help you. Whatever your plans this Easter, make sure you have a good one!